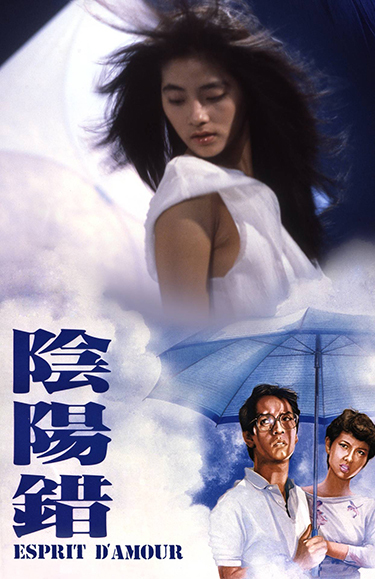 Marking Ringo Lam’s directorial debut, Hong Kong Cantopop star Alan Tam stars in the romantic comedy Esprit D’Amour. Tam plays insurance investigator Ming, who is assigned to investigate the accidental death of Siu Yu (Ni Shu Chun), after she falls from her roof. During the investigation, her ghost appears from beyond the grave, and despite Ming’s pending nuptials to his fiancé Ivy (Cecilia Yip), Ming and Sui Yu begin to fall in love. When his friends and family find out what is going on, a battle between the supernatural and the natural begins. Making matters worse is Ming’s boss, Peter (Philip Chan) who refuses to offer insurance to Siu Yu’s beneficiary, her fiveyear- old neighbour. As problems escalate, the big question is whether love will win out in the end.